Ergogenic aids are not a substitute for food, fluid, or activity. Athletes who are already at the peak of physical ability and consume an optimal diet will, for the most part, realize little if any benefit from supplement use. The most commonly used supplements are anabolic agents, ginseng, ephedra, and caffeine. The most frequently and widely used category of ergogenic aids is those with supposed anabolic effects; that is, they mimic the benefits of steroids (in a legal manner). Creatine is the most widely used supplement taken by both recreational and professional athletes. Creatine is synthesized in the kidneys, pancreas, and liver from amino acid precursors (methionine, arginine, and glycine), and is also found in meat, fish, and poultry. The ergogenic effect of supplemental creatine is attributed to its ability to increase tissue creatine levels beyond what the body can synthesize on its own, resulting in increased work capacity during intense activity requiring maximal or near maximal effort. It can also expedite the recovery rate following exercise. These benefits are most likely seen with a regimen of 20 to 25 grams of creatine over five to seven days, divided into four- or five-gram doses (this is called the loading phase). Creatine levels will fall to presupplementation levels six weeks later. For optimal effect, each dose of creatine should be consumed with a carbohydrate and without caffeine, which can counteract the ergogenic effect. Muscle hypertrophy and fluid retention can occur during the loading phase, causing a weight gain of four to seven pounds. This increase may be advantageous for the strength athlete, but less so for an athlete who relies on speed. Short-term studies have not shown an increase in muscle strains, cramps, or pulls with creatine, but it is critical for the athlete to maintain optimal hydration. There are some concerns with product contamination, as creatine supplements could be contaminated with herbs, or even with other anabolic agents not listed on the label. 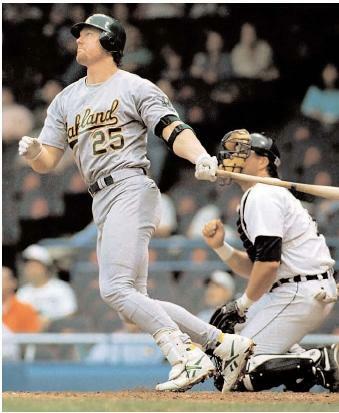 Mark McGwire astounded baseball fans when he hit 70 home runs in 1998. But his use of legal performance-enhancing supplements, such as androstenedione, raised tough questions for athletes and trainers. psychotherapeutic medications, and it may be harmful to the kidneys. Chromium is an essential mineral involved in blood glucose control. It can be taken in a dosage of between 50 and 300 micrograms per day, but it does not have any anabolic effects. Other supposed anabolic agents include dehydroepiandrosterone (DHEA), androstenedione, and Tribulus terrestris (tribestan). All of these are banned by the U.S. Olympic Committee, the National Collegiate Athletic Association (NCAA), the National Football League, and the American Tennis Federation. Studies have demonstrated the ineffectiveness of androstenedione as an anabolic substance or strength enhancer, but they have demonstrated potentially worrisome side effects, including a decrease in serum HDL level and an increase in serum estrone and estradiol , which increases the likelihood of gynecomastia (breast enlargement). In addition, several laboratory tests have shown that the amount of actual product in these supplements can vary dramatically, and some are contaminated with nandrolone , an anabolic steroid that can cause a positive result in a drug test. Protein is essential for muscle growth and development, but the maximum usable amount of protein is one gram per pound of body weight. Protein powders contain large quantities of protein, plus large doses of vitamins , minerals , and herbs. Amino acid supplementation has been associated with gastrointestinal side effects, such as nausea, diarrhea, or vomiting, that may negate any potential ergogenic benefits. In addition, selective amino acid supplementation is a very inefficient way to provide protein to the body and can create an amino-acid imbalance. Many athletes take supplements to boost energy, particularly ginseng, ephedra, and caffeine. Ginseng functions as an adaptogen, or immune system stimulant, but it does not have an effect on athletic performance. (Athletes who choose to take ginseng should look for Panax ginseng standardized to 4–7 percent; ginsenosides, with the following dosing regimen: 100–200 milligrams per day for two–three weeks, then one–two weeks of no use before resuming). Ephedra (also called Ma Huang, epitonin, and sida cordifolia) is a central nervous system stimulant that is sold as an energy booster or "fat-burning" supplement. Marketed as Metabolife, Xenadrine, Herbal Rush, Energy Rush, Thermoburn, or Thermofuel (among others), ephedra may delay fatigue by sparing the body's glycogen reserves during exercise. However, it can also increase blood pressure, respiration rate, heart rate, anxiety , migraines, and irregular heartbeat, and it can cause insomnia, psychosis, and nervousness. Ephedra and caffeine are often present in the same product, which can be detrimental to the heart. The maximum safe level of ephedra is 24 mg per day, but many products contain over 300 mg per dose. This supplement is contraindicated in those with a history of heart disease or hypertension , kidney or thyroid disease, seizure disorder, or diabetes . Caffeine is a stimulant that in certain athletes may increase free fatty-acid availability to delay fatigue, improve reaction time, and reduce the perceived effort of exertion. It tends to be most effective in caffeine-naïve, trained endurance athletes with a dose of 200 to 300 milligrams one hour prior to a sporting event. The legal limit of caffeine is 800 milligrams, but this level can cause nervousness, anxiety, irritability, headaches, increased urination, and diarrhea. In addition to products such as Vivarin, No-Doz, and Excedrin, caffeine can be found in herbal form in guarana, maté, and kola nut. Caffeine also augments the stimulatory effects of ephedra. Weight loss agents contain ingredients such as L-carnitine, which may prevent lactic acid accumulation but does not promote fat loss; quercetin, an antioxidant that is important for the heart but does not aid the loss of body fat; hydroxycitrate (a diuretic); ephedra; caffeine, and senna and/or cascara (herbal laxatives). Chitin, or chitosan (advertised as a "fat trapper" or "fat blocker"), is made from the shells of insects and shellfish and may lower cholesterol , but it also does not lower body fat levels. It can bind with calcium , iron , and magnesium and interfere with the absorption of Vitamins A, D, E, and K. Any weight loss experienced with the use of these products is primarily due to water loss associated with the laxative/diuretic components. One of the more dangerous supplements is GBL/GHB (Gamma butyrolactone and gamma hydroxy butryric acid), which is marketed as Rest-Eze, Blue Nitro, Revivarant G, Ecstasy, GH Revitalizer, GHR, Remforce, Renewtrient, and Gamma G. As of December 2002, use of these products has resulted in three deaths and one hundred adverse reactions, including coma and breathing difficulties. The potential harmful effects of yohimbe, ephedra, and excessive caffeine intake have already been mentioned. Kava is an herb used to treat anxiety, but it may cause liver failure. In addition, individuals on prescription or over-the-counter medications should be wary of supplements, as there may be adverse interactions. Athletes at all levels should have their supplement use carefully monitored. Coaches, parents, or others working with athletes should ask what they take and in what dosage and frequency. Labels should be examined, and all information should be documented in the medical record. It is best if athletes try only one product at a time, and supplement use should be discontinued if any unusual dizziness, stomach upset, or headaches occur. All coaches should be familiar with the available supplements and their dangers. SEE ALSO Dietary Supplements ; Sports Nutrition . Medical Economics Company (2001). PDR for Nutritional Supplements. Montvale, NJ: Medical Economics. Williams, Melvin. The Ergogenics Edge: Pushing the Limits of Sports Performance. Champaign, IL: Human Kinetics.